What Is A Market Resource Technician? A market resource technician is an integral part of the ability of various businesses to manage market effectiveness. From working on manufacturing processes to establishing logistics protocols to implementing new software to handle operations, a market resource technician must have knowledge in a number of areas of business. Education, certifications, and experience are all helpful for getting started in a position as a market resource technician. Future market resource professionals often begin pursuing the career by completing a degree in business administration to begin to gain an understanding of the different areas in business related to this career. 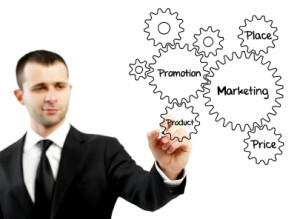 Students will complete a number of marketing, management, and technology courses. Some of the common marketing courses include marketing research, consumer behavior, marketing strategy, promotional strategy, and new product management. Management courses likely include decision models, project maangement, logistics management, decision making quantitative analysis, and risk analysis. Technology courses are likely to include foundations of information systems research, supply chain management, control systems, and process management. In addition to completing coursework to gain the knowledge needed to handle various marketing and management tasks, future market resource technicians can also benefit from professional certifications. Professional certifications are an important section on a resume for any business professional. For future market resource technicians, the certifications are particularly important for highlighting areas where the applicant has advanced knowledge and skill. Because the position is so diverse, these certifications can add assurance that an individual is equipped with the knowledge and skills needed to perform successfully in a specific position. There are a number of options for what type of certificate to pursue. Some of the designations that can be particularly helpful for future market resource technicians include the Certified Manager of Production Operation, Certified Marekting Manager, 6-Sigma Certification, Certified Quality Director, and Certified Business Administrator. For additional information on these certifications and other professional designations, visit the American Certification Institute. Another certification that can be beneficial for future professionals in this area of business is the Certified Marketing Executive designation. This is especially helpful for market resource technicians who are interested in advancing in a career or changing positions within the field. Additional information on this certification can be reviewed at the Sales and Marketing Executives International, Inc.
Market resource technicians might work in a number of different industries, from automotive to service and retail to education. A large portion of the job duties for this position require for a technician to have expert understanding of computer hardware and software, human logistics, and organizational structure. Many of the responsibilities taken on in this particular field require a solid foundation in general business knowledge. In addition, market resource technicians will often handle the strategizing for implementation of new softwares and technology in order to promote organizational success through the improvement of processes. In this position, professionals will also integrate systems for the management of various mediums to promote marketing strategies. Market resource technicians also carry out various tasks for digital management. Business professionals who are interested in making a difference in the operations and driving the success of a company can consider many opportunities in various industries and companies for market resource technician positions.